Would You Like to Meet Noah? If Lucas is control and Andrei is protection…. Then I have to say that Noah Keegan is joy. Noah Keegan was born on the West Coast in California, but he doesn’t remember much of it. At the age of eight, his parents were killed in a car accident and he was sent to live with his grandmother in Alabama. H e was relatively close with his grandmother, but the conservative south was not a comfortable place to be gay so Noah was careful to keep that side of himself locked away from even his only living relative. He feared losing the only home he had left and her love. After completing high school, he joined the Army and then went through Ranger training, where he met Rowan Ward. They were both assigned to the same squad and quickly became close friends. They both have a fierce sense of loyalty and a need to protect. They also have the same diabolical sense of humor. Noah loves practical jokes and when he’s not plotting them with Rowe then he’s plotting jokes to play on Rowe. Music is also a key part of Noah’s soul. He plays both the guitar and piano, learning both while he was living with his grandmother. He’s got a gift for crafting melodies and can pick out most songs simply by listening to them. While in the Army, he was able to get his hands on an old acoustic guitar and he would play for the member so his squad or just as a way to keep his hands busy and his mind settled. Noah and Rowe made a great team in the field. He always had Rowe’s back and took pride in keeping him safe. And it nearly broke him when he wasn’t there when Rowe was shot … ending his friend’s career as a Ranger. 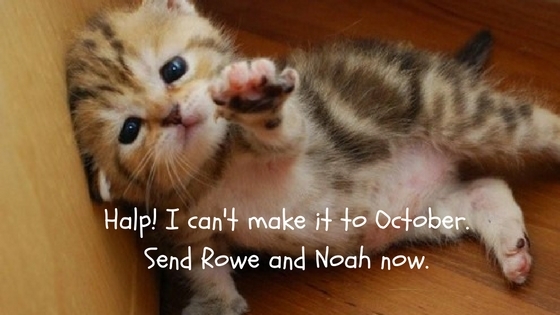 When Rowe was forced to leave the Army, Noah was lost. He still believed in the work he was doing while in the Army and as a Ranger, but so much of the joy he’d found in life was suddenly absent without Rowe. He stayed for another 13 years because he was damn good at what he did, but as time passed, he found that he wasn’t making close friends and he wasn’t setting down any kind of roots. He alone and empty inside. He needs a new purpose. He needs a life that’s honest and full of laughter again. And he’s determined to find just that. The first step … is getting his old friend Rowe back. 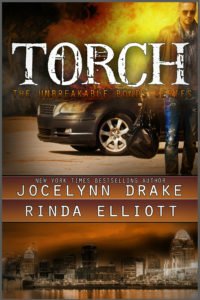 We can’t wait for you to meet Noah in Torch. The third full-length novel in the Unbreakable Bonds series will be out Tuesday, October 25. You can pre-order a copy now by clicking here. FIVE MORE DAYS!!!!!!! just saying.